In a post on the Tor.com blog dated 29 May 2012, Irene Gallo announced the passing of Leo Dillon, one half of the legendary husband-and-wife illustration team of Leo and Diane Dillon. Leo was 79 years old. Not that it matters, but I have to say 1) that Who’s in Rabbit’s House? is one of my favourite children’s books of all time, and 2) that my enduring affection for the book is entirely due to the Dillon’s expressive character designs and sly, energetic, innovative staging of the story. 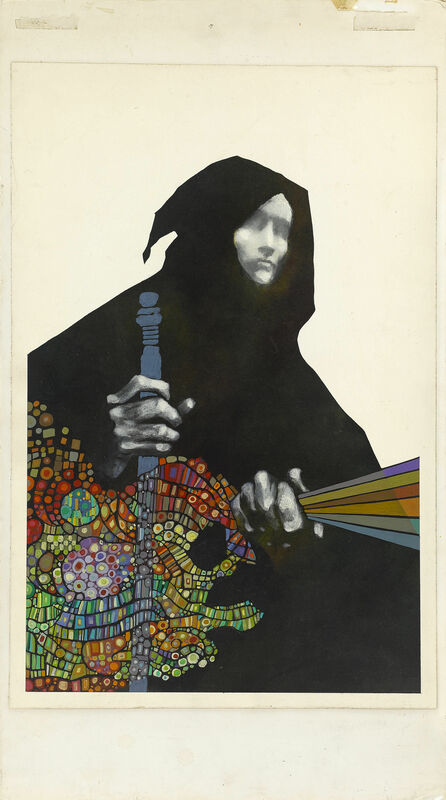 To view all of the covers with art by Leo and Diane Dillon that I’ve posted so far here at RCN, click here. Keywords: The Cossacks and the Raid, The Traveler in Black, Justice and Her Brothers, Dustland, The Art of Leo & Diane Dillon, The Snow Queen, World’s End, Honey, I love, Ashanti to Zulu, Who’s in Rabbit’s House.